Japanese mobile operator DoCoMo is the largest carrier in the country, but is also the lone major Japanese carrier to not offer the Apple iPhone. In hopes of cutting into the 90% market share that iOS and Android enjoy in Japan, DoCoMo has teamed up with Korean manufacturer Samsung to develop open source OS Tizen. The plan is to offer Tizen flavored smartphones by next year. Earlier this year, there was speculation that Samsung would produce the first Tizen powered handset by this coming Febraury. That would fit perfectly with current talk that Sammy will have a Tizen based model on display during February's MWC 2013 in Barcelona. The rumor has Samsung releasing its first Tizen phone world-wide at the same time. Some see a bigger commitment to the platform by Samsung as making sense since Google is competing with Samsung by helping to produce the current Nexus smartphone and by working on the new "X" phone with wholly owned Motorola Mobility. 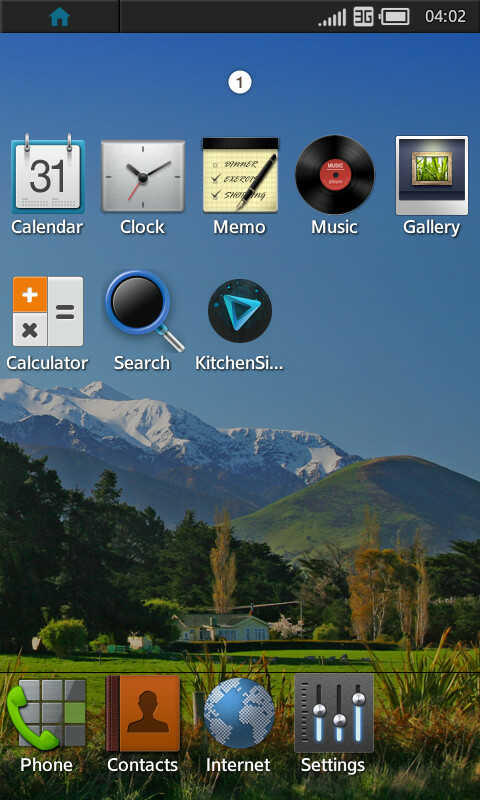 Tizen, which is based on Linux, was originally developed by Samsung, with help from Intel, to replace MeeGo. The Nokia-Intel OS was shut down in September 2011. Last January, renderings appeared of a Tizen powered Samsung device, the GT-i9500. Recently, that model number, along with the GT-i9505, leaked in conjunction with the upcoming Samsung Galaxy S IV. Tizen = the new Bada which was a horrible idea but hey, you never know i guess. Except Tizen isn't a Samsung proprietary OS, but hey, you never know i guess. Right, long live open source I think Tizen has great potential, but SS and Intel must build the ecosystem and hopefully we see it become a viable alternative to Android. Sammy, please release a serious Tizen phone and not just use it as back up plan for Android. Except Tizen has the backing of carriers like Sprint in the U.S. so it will actually be given a chance. Also, I don't think Bada was open-source until recently. Also, Bada didn't have the backing of another big company like Intel. So, I think it has a pretty good shot at becoming a major player in the mobile OS world if the app development and hardware to back it up is there. Bada was never a horrible idea...it was a good effort that didnt last but sooner or later that way is the future. Instead of relying on android or any othe third party OS the best result in tech is always obtained when the hardware and sotware are made by the same company. the optimization done in that case is perfect. Android will be the king of open source mobile OS for at least next five years,followed by closed source OS like IOS,RIM & WP. Many mobile oses like tizen,jolla,firefox os,Web os will come & go. Maybe,but competition is always good~! Android is not afraid of competition, Google know once it becomes a monopoly it will lose competitive edge just like MS. Tizen will help make Android even better. I know that android isn't afraid of the competition bit other OSs are.. you can take the example of iOs.... ANDROID is and will be the king of mobile OS war maybe for next 5 years..! I agree, I wish Tizen well but I don't believe Tizen can compete with Android in 5 years. Google is much stronger in software than SS so SS must spend billions of dollars on Tizen for it to catch up (no guarrantee though) therefore frankly I'm skeptical about Tizen's future. Competition is always nice! 2013's new os- sailfish,tizen,bb10,firefox os waiting to see which one would be more intuitive and smooth!! Or Samsung can copy everything in android and put it in tinzen. How hard is that really? You are talking about a company that does not any respect for other's intellectual properties. 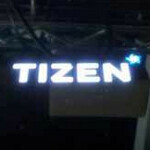 Tizen looks lik 90% Android Copy CAT !!! actually it looks a lot like flyme OS than anything else..
Much like Android rippped off iOS? SJ klept saying that forever. I don;t mind a competitor to Android at all. Google isn't sanit but probably less evil than Apple and M$ ... but evil surely they are. Man, I think what you say is very ridiculous. A person with a flaw does not necessarily mean he is a bad man. We must judge any1 in big picture and not on a single thing. Are people better off with Google? I think most people will say yes. Man, what if some1 says your ARE a evil person b-c in future you might change and may commit a crime? we don't know what Google will become in the future but we can't say Google is evil now. Google does not take any1 for granted now and they work hard to win over their customers. But Google cannot offer alternatives to themselves, other companies must do that. Linux is different from Google, of course we wish every company were like Linux, but that's just not possible. Google offers Android as open source, not the SDK. If open source community want their own SDK they have to do that themselves. Google is a company and not a non-profit organisation so they must protect their own interests and we have to respect that. Google dropping support for EAS is one small step in taking customers for granted. Give them more market share and they will be next Apple ... deciding what works best for users under the garb of dropping support for proprietory protocols. I don't think so, I support open and free software. If ActiveSync is free then Google was wrong to drop it. But ActiveSync is not free so people should pressure MS to drop the fees and not blame Google for some1 else's evil. Do you know the installed userbase of Exchange or Exchange alternative solutions on Linux (Axigen/Scalix/Zimbra/Kerio/Zarafa/etc)?. All those who work on Outlook and sharing will never give up these systems no matter what google preaches and coprorates value email communication and collaboration more than anything else. So many would be foreced to switch to Windows/iOS because both support Exchange active sync. I wouldn't care much if i cannot play angry birds on my phone but a phone which doesn't allow me to sync my exchange account is a useless device no matter if the os is free or not. Do you know that Google still support ActiveSync for business users and those who are already using it? apple will sue it for sure. why Android is partial open source? Because while Google puts up Android source codes and all for anyone to freely download and use, Android is not fully open source because in the end, only Google's software engineers directly contribute to Android itself. Those other millions of devs that have added features using Google's code don't get their work added into the official Android.